Frank J. Brye was a recipient of the J.D. Sparks Fellows Award for his outstanding performance at the college, alumni, and national chapter levels. In addition to the J.D. Sparks Fellows Award, Frank received both the first and second-degree Silver Distinguished Service Awards. In 1993, Frank J. Brye’s name was added to an exclusive list of Gold Distinguished Service Award recipients – the highest honor Alpha Kappa Psi confers onto members. 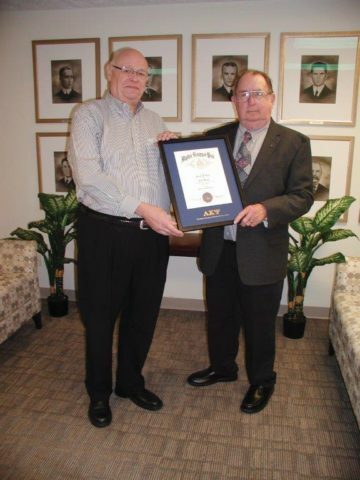 In 2011, Frank’s 50 years of dedication to Alpha Kappa Psi was featured in the Diary of Alpha Kappa Psi. 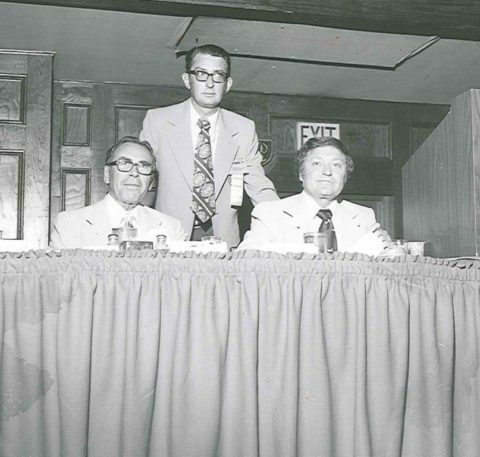 Former Executive Director Frank Brye at the 1977 Convention in Atlanta. He is joined by Former Foundation Chairman Harold C. Carlstead and Former Fraternity President John C. Wilson. The positive advancements Frank pursued remain within the Fraternity’s legacy today.  On behalf of Alpha Kappa Psi Fraternity and Foundation, we send condolences to Frank’s son and Fraternity brother Richard (Rick) F. Brye, ’93 – Life, family, and loved ones during this time. The obituary can be found here.